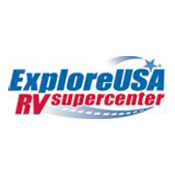 ExploreUSA RV Supercenter is one of the fastest growing RV dealers in the Southwest. Our philosophy is simple... extraordinary customer service before and after the sale. We will do our best to beat any price on any travel trailer or 5th wheel available! Please call today!